Jordypaigebooks: Aspiring to become an author? 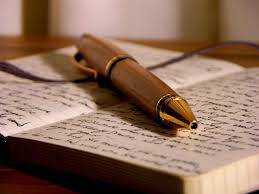 Are you someone who has been thinking about writing a novel? I know I am and I have searched online for some helpful tips to help with your writing. I have only just started to write properly because I am always changing my mind about what I want to write but that's okay. I think that if you are having the same problem I had you're not writing what you really want to (I could be wrong though), If you are struggling think about something you would like to read that has yet to be written and make it your mission to write that story. About 2 years ago I came across the author Ally Carter who wrote I'd Tell You I Love You But Then I'd Have to Kill You and I was looking through her website and came across for writers which has a heap of posts she has written to help you on your writing journey and some helpful links to improve your writing. I found reading these very helpful and I think I would be quite lost if I hadn't read them. infernal devices series and the mortal instruments series has some of her own writing advice on her website and she has a different take on it than Ally Carter and some things that are a bit different but all in all I found these posts very helpful as well. She even has a advice for teen writers post which I found quite helpful being a teen myself. First, and this is important: this is advice for people thinking about writing as a career. Okay? This is not advice for how you can write a journal entry or your next creative writing assignment. Manage to be born with some natural talent. Talent isn't enough by itself, but if you don't have at least some natural talent you won't have a career as a writer. Not fair? Spoiler alert: Life isn't fair. Work hard. Look at it this way: you're in a contest. Everyone in the contest has talent. Who is going to win the race amongst talented people? The talented person who also works hard. It's a good thing to read a lot. It's a good thing to write a lot. The best thing to do is to live a lot. Fall in love. Fall out of love. Make a fool of yourself. Watch other people make fools of themselves. Believe something stupid and then realize you've been tricked. Feel embarrassed. Be brave and bold. Then be cowardly and pathetic. Give a damn about the world outside yourself. Have some very dark nights. It's all good. You'll use all of it. I would like to single out the so-called "chunk method" for special abuse. The chunk method isn't just stupid, it actively destroys the part of your brain that might be a writer. So learn it to pass your tests, but for God's sake keep it isolated in some dark corner of your brain where it won't contaminate anything around it. There is no method to writing fiction. You're telling a story. Did the people who read your story understand it? Did they keep reading it all the way to the end? Were they interested by the characters and the plot? If the answer is "yes," then you did it right. That's the job: tell a story using words. e.g. Read and review program where you can give out free copies of your novel for an honest review and members writing where you can share your writing with the group and get feed back or find someone to be your beta read or critique your writing. I love this post, Jordan! It's super informative to the hopefuls out there. I'm too protective of my writing to imagine myself putting it out there, but this is good advice for those who want to. I can't wait to read some of your writing! Wow Jordy, I absolutely LOVE your blog and am so honored to have been mentioned. I know how hard it is to be a successful author, so I hope some of what I've learned along the way will help other aspiring authors. We're all in this together!